The holiday seasons mean parties, and parties mean drinking — as in "drinking in the New Year." 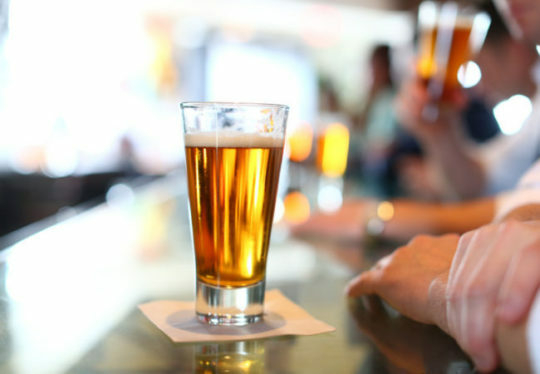 We asked Gregory Collins, MD, Director of the Cleveland Clinic Alcohol and Drug Recovery Center, to set the record straight on myths about drinking. Myth No. 1: Drinking Perks You Up at Parties. Only partially true. Alcohol is a brain depressant that first acts by shutting off "executive functions" like judgment, mood control and natural inhibitions. Some people experience this as elation and excitement, while others experience the opposite: sleepiness, lethargy and even a depressed feeling. The bottom line: Alcohol interferes with normal brain activity, no matter how you feel when you drink. Myth No. 2: A Beer Before Bed Helps You Sleep. Alcohol interferes with normal sleep, during which your body cycles through light and deep phases of sleep. It inhibits refreshing, important REM sleep, leading to "REM rebound" later, with nightmares and trouble sleeping. Repeated alcohol use seriously disturbs sleep and makes it very difficult to re-establish a normal sleep pattern. This often leads to more drinking or to sedative abuse in the quest for sleep. Myth No. 3: A Hot Toddy Can Keep You Warm On The Slopes. Whether you're skiing or caroling, drinking will inhibit your body's natural response to the stress of cold weather. Usually the body stores warm blood in its "core" to preserve important organ functions. With alcohol use, blood vessels in our extremities become artificially dilated, allowing warm blood to escape from the core into the peripheral circulation, where it cools. The result: the body can no longer keep vital internal organs warm, and overall body temperature drops. Myth No. 4: A Beer is Less Potent Than a Cocktail. Whether you're drinking a Christmas ale or an "appletini," beer and cocktails contain about the same amount of alcohol, and are equally potent. Myth No. 5: Drinking Coffee Sobers You Up When You've Had a Few Too Many. Coffee has no real effect on blood alcohol level, which is the major factor in determining your level of intoxication. Myth No. 6: Men and Women React To Alcohol In The Same Way. Wrong. Because of their smaller size, women generally have a lower total blood volume. So drinking the same amount produces higher blood alcohol concentrations — and a greater degree of intoxication — in women. Women need less alcohol than men to reach the legal "drunk driving" limit, 0.08 percent blood alcohol. Dr. Gregory Collins specializes in addiction psychiatry.